Gamo's Replay-10 Maxxim IGT features Gamo’s patented 10x Quick Shot®, which has already become a market referent. This exclusive technology relies on a multi-shot rotary magazine which allows the shooter to blast up to 10 shots without touching a single pellet, improving the user’s autonomy, reducing reload timings and providing a more intense and enjoyable hunt. 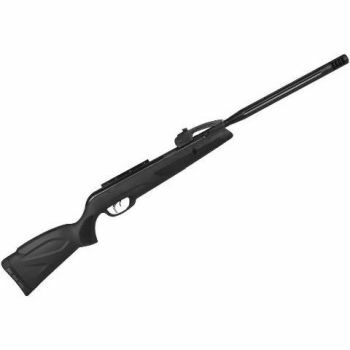 Gamo’s Replay-10 Maxxim IGT features the brand's IGT technology, which replaces the traditional main spring by a last generation pneumatic cylinder, improving the terminal velocity, providing a more consistent power level, reducing cocking efforts and lessening undesired vibrations.